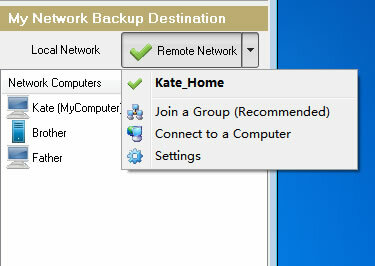 Backup Cow users can connect together by joining a same remote network group. 3. 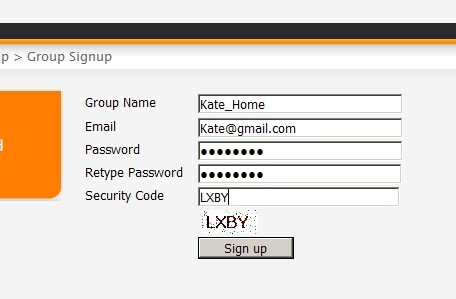 Thereafter, you just need to select the group name showing under "Remote Network" to join the group, no need to input the group name and password again. 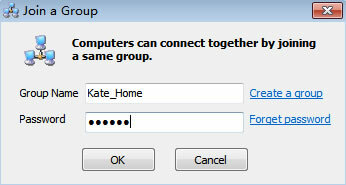 * You can also make the remote connection settings in "Settings-- Remote Network"
* If you forget your account password, you can click here to reset the password. 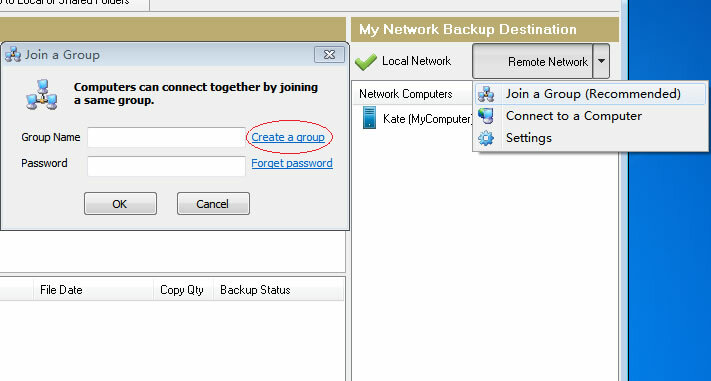 * You can set up more than one remote network group, and choose any network group to join. 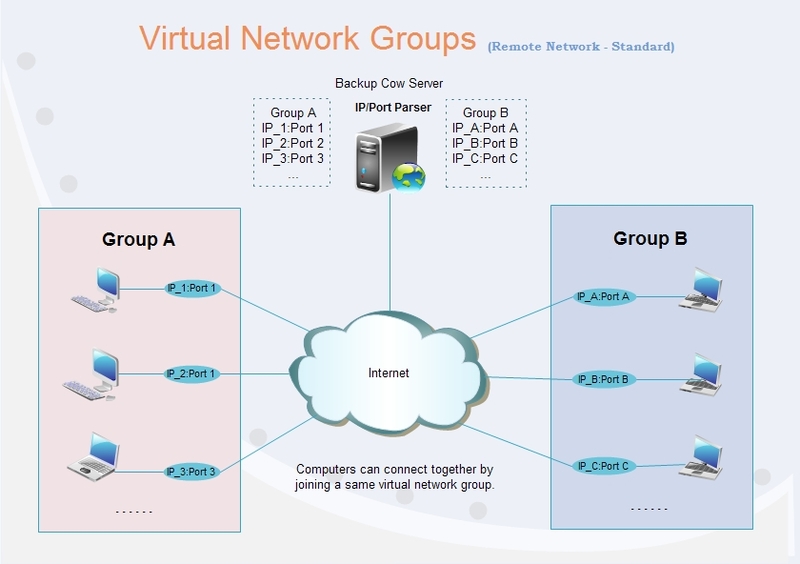 * Backcow Server will act as a IP/Port parser so that Backup Cow users in the same group can connect together automatically.